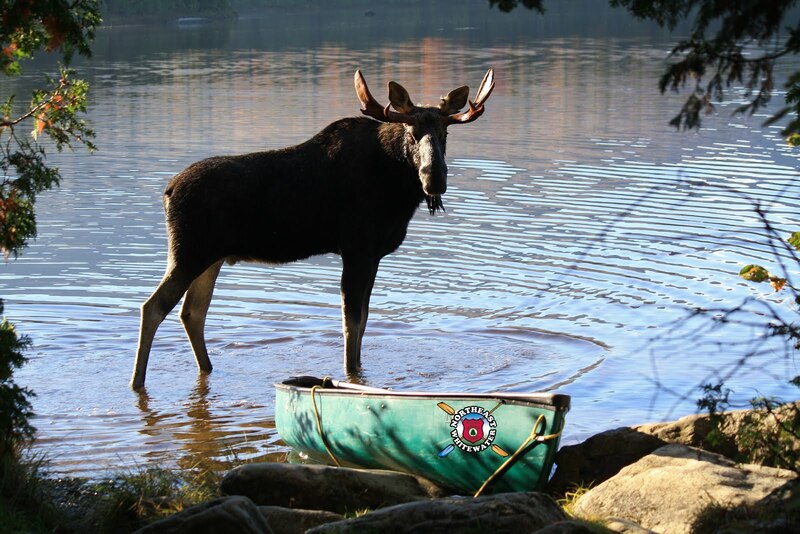 Northeast Whitewater: Moosehead Lake Adventure Destination: What is a Raft Guide? What is a Raft Guide? For a raft guide, every spring is filled with excitement. Whether the raft guide spent the winter in college, working at a ski resort or held a "real" job, spring brings memories of past seasons, reunions with fellow rafting guides, spring runoff of high water excitement, and a renewed outlook for another season of guiding. New guides, on the other hand, or "trainees" as we call them, are filled with nervous anticipation of training and the excitement of starting a new road map on the rivers in Maine. White water rafting companies are looking for guides that want to work hard, don’t complain about the small stuff, and take pride in river skills, and most importantly love the river. Our small rafting company focuses on the quality of our river trips. 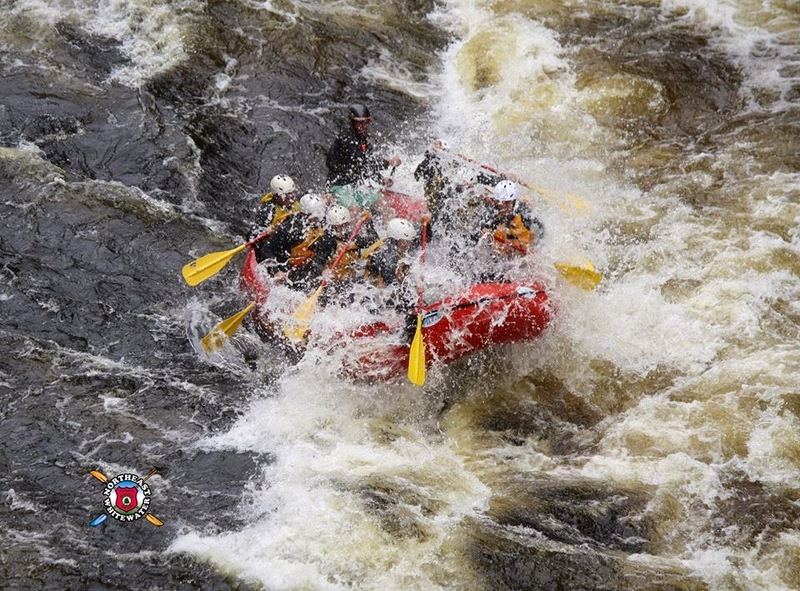 From our one location in Greenville, Maine we can raft our family friendly river trip, which is the Kennebec river and then step it up on the Penobscot river or Canada Falls for class V excitement. From an economics standpoint, raft guiding is one of the few jobs out there where you can find work in any type of economy. In addition to the favorable economics and rafting culture you join once you become a raft guide, the rafting job itself can be one of the most rewarding positions you’ll ever have. Guiding rafts is both physically and mentally challenging. The change from going rafting as a guest and actually guiding a raft is a big difference. Guests tend not to notice the amount of boat control a guide has, but when they do notice they tend to reward you well with guide gratuity. Mostly though, by having a great personality, showing the boat control and exuding the excitement that river rafting offers, gratuity is a common gesture. There are endless opportunities for raft guide trainees to work on improving their raft guiding skills and beginning to flourish within their raft guide personality. We encourage raft guides to get out on the river even when not scheduled to guide. Enjoy a day of paddling with other raft guides and ride along on a commercial trip to see how other raft guides handle certain rapids and guest interaction. Our raft guides can progress quickly from level I rafting guides, to level II raft guides in the first summer. 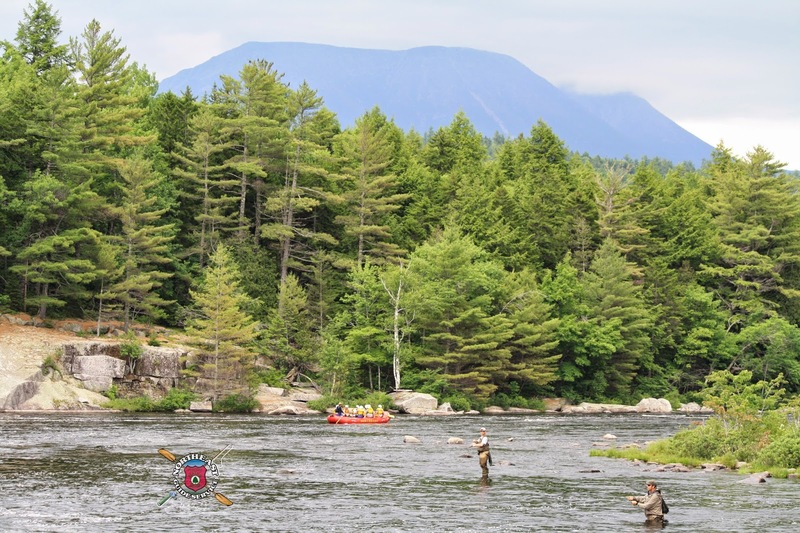 That doesn't mean a first year guide is capable of guiding on class V rivers, but what it does mean is our guides get the opportunity to challenge themselves in the first year of learning to guide on all rivers in Maine. This helps to build confidence and a strong river awareness to become the most proficient group of guides on the rivers. Raft guiding can be a lifelong career, in which you guide rafts part time on weekends during the summer months, return year after year for the summer season to work full time in the rafting industry, or even dedicate your life to year round guiding, traveling the world to work on rivers and lead trips. And for some, raft guiding is a summer fling that you look back on, smile about, and enjoy for fun with family in the future. Be humble & confident. Do not let your ego overpower the importance of confidence. You want to be humble enough to accept constructive criticism, in order to improve, but be confident enough to take control of your raft. Take advantage of every opportunity to get better and get on the river. When you aren’t guiding, go on the river. Practice reading the river, ask questions of your trainers, be engaged and involved mentally. Prepare for whitewater guide training. Start working out. Go swim. Go run. Go climb the longest set of stairs on campus or at work until you can't feel your legs anymore. Training is very physically demanding, enough said. Be a team player. The most valuable employees are those that support the company and the rest of the guides without creating a lot of drama. Support your fellow guides by doing the little things that nobody notices. Have fun. We all guide in part because it is fun to be on the river. Enjoy your time on the river, but always remember that your job is about creating a fun, safe and memorable experience for the people in your raft. Be thankful for every day. Your time as a guide will go quickly. Appreciate the awesomeness of each experience and make the most of every day. 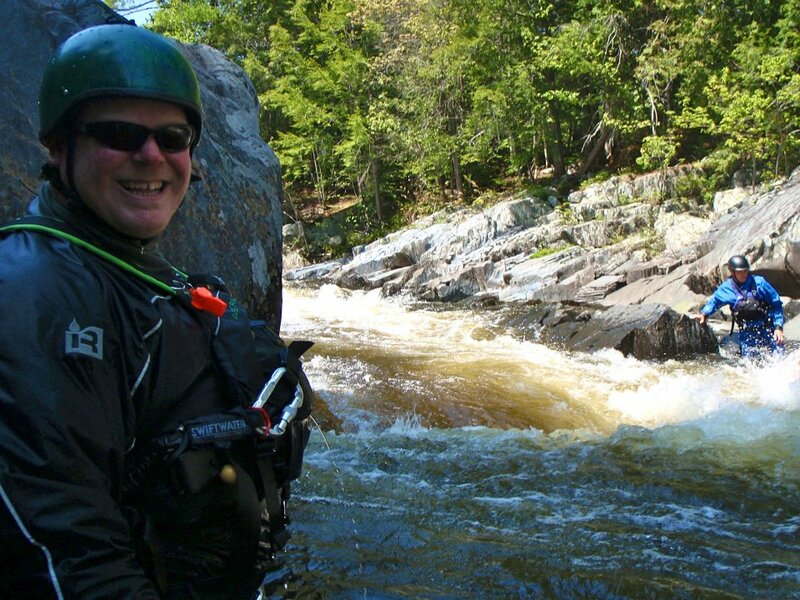 To start the process of becoming a raft guide in Maine with Northeast Whitewater, all you need to do is call us at 207-695-0151 or send an email our way expressing interest at info@northeastwhitewater.com. Your life will be forever changed. We challenge you to take the leap, you'll be forever grateful. Penobscot River - Mt. Katahdin in the distance.